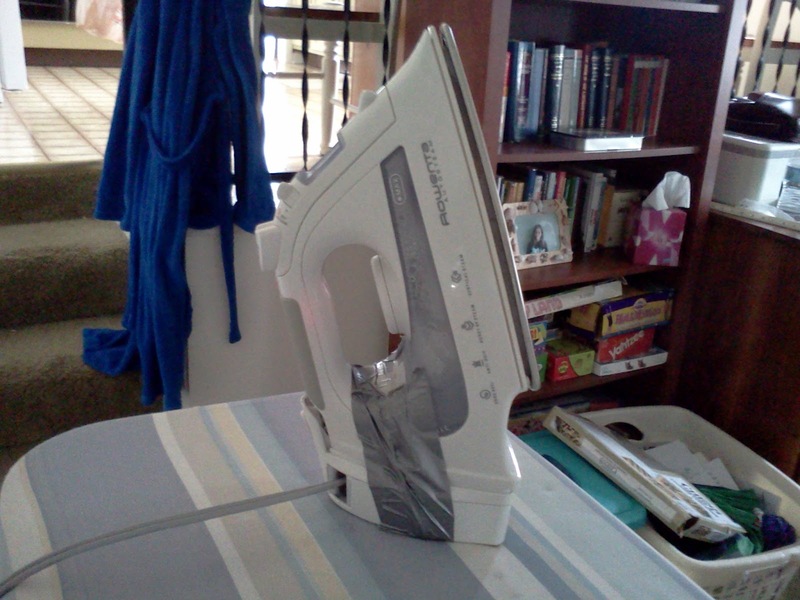 Duct tape fixes everything! Again! What do you get when you have a guy who does his own ironing, an iron whose base disconnected from the main part, and a roll of duct tape! You get one less trip to Super Target (for now, I would presume - the seal is not water tight). The vertical gray stripe is duct tape. I was doing my slacks (all right, pants) and shirts for another week, and without warning, I found myself with two pieces of iron. After a few minutes, I was back to work. This week, it worked again. So, men, yes YOU can do your own ironing. Better yet, teach your kids to iron for you, pay them a dollar per piece, and you've set another budding entrepreneur on his/her path! I haven't gotten that far yet. But please, don't make your hardworking bride do this for you.